No risk! We Want to Help Reach Your Goals! We all learn differently, which is why Sierra Strength offers classes that are both one-on-one and small group. Either way you’ll receive the attention you deserve so that you can find the healthier you. One-on-one are the most custom-tailored to the individual, depending on age, size, general health, and where you are in your workout life. Every moment of the session I’m focused on getting you to where you want to be, whether it’s with strength training, power lifting, or talking about your diet and how your lifestyle is affecting your body. If you need one-on-one support up to four days a week, this is for you. 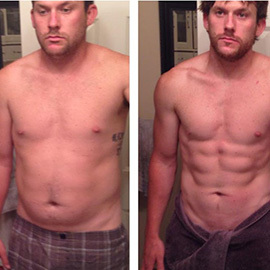 We can work together to get you on that path to that body you’ve always wanted. Small Group classes are great for those who want an incredible, dedicated workout but don’t necessarily need the one on one. It’s also a great way to foster friendly competition if you’re the kind who enjoys seeing if you can do just one more rep than the next guy. That is great motivation to keep you going when you need just one more. Small groups contain 4 to 6 people who all have the goal of improving their lives through good exercise and healthier living. Training is a very personal experience because it’s your body and life in your hands. But having someone to motivate you and make you accountable is the way to stay on the path to better health and a better you. 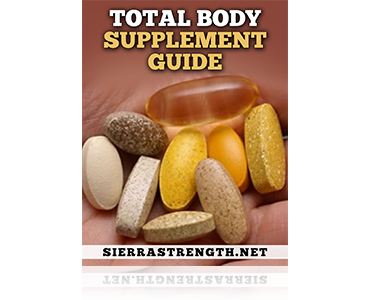 Check out the Sierra Strength schedule below to see how getting fit fits into your schedule. We also include a Total Body Measurements tracker to keep track of those measurements so you know exactly how much size you are adding or cutting off! 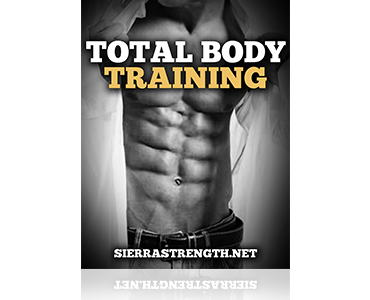 With Sierra Strength Total Body Training you will get an extensive guide to getting fit and achieving the goals you are looking for. 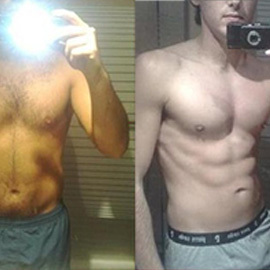 We want you to be informed about how to get your whole body looking the way you want. Your success is our success and that is why Chris Sierra Is the Personal Trainer solution to reaching your fitness goals. 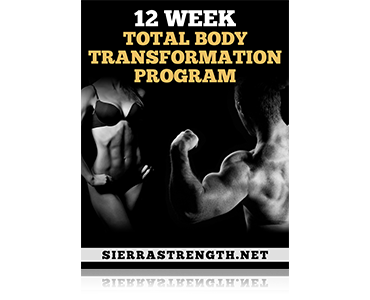 The Sierra Strength Personal Training is combined with several features including a total body meal plan. 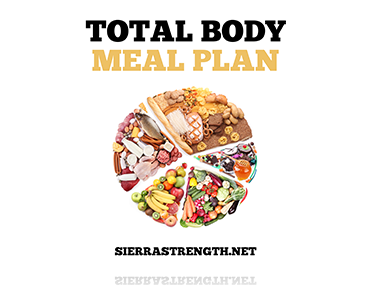 This is your guide to nutrition which will help make the best of that hard work you are putting into your exercise. 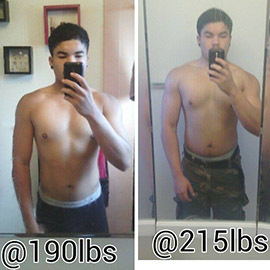 Maximize your results with us helping you plan your meals for every day. 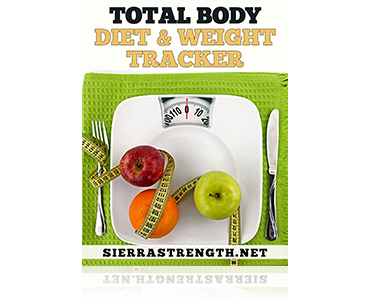 The Sierra Strength personal trainer experience also includes full diet and weight tracking to help you see your progress as it happens. It is important to track this information to keep you performing on all cylinders and generating results. Cardio is an important part of any training plan. A healthy heart equals a healthy body. You need to know what cardio will help you achieve your results and how much to do. 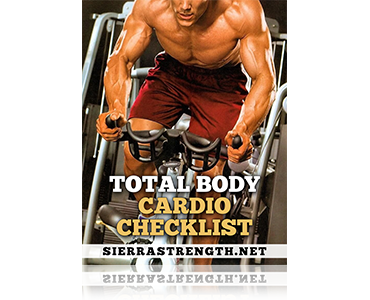 Everyone is different so in order to generate the best results we will provide you with a checklist to effective cardio training. Walking into the grocery store with no plan at all usually results in a bunch of random foods that don't really allow you to get complete meals put together. 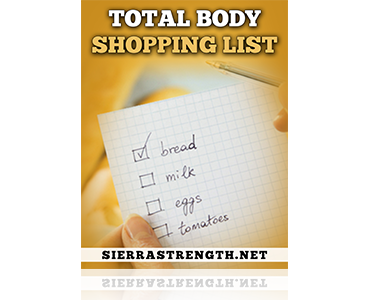 We provide you with a shopping list that will keep that grocery store trip on track to help make sure you stick with the path to our total body transformation. The right supplements are always a huge part of any training plan. We will provide you with a guide to get the nutrients you need to keep that body feeling great and looking great. Supplements are just that. They supplement your routine very well to help you get the results you are looking for. We will make this process easy and valuable for long term success. Signup for a Membership Today!